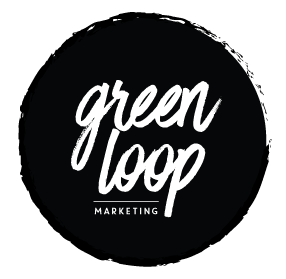 Welcome to Green Loop Marketing! 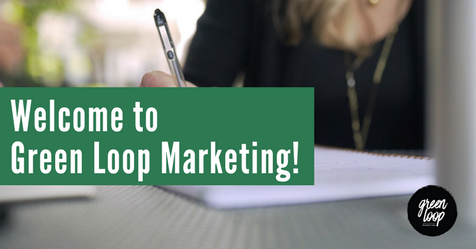 Welcome to Green Loop Marketing! Talking about ourselves isn’t something we do much–we’re more interested in promoting our clients. However, for our first blog, we figured we’d do a little introduction. The vision to create Green Loop, an agency specifically serving the needs of small to medium-sized businesses, was a long-time goal of ours (co-founders, Meghan Martin and Melanie Allen). We met while providing freelance marketing consulting to a common client. We quickly discovered that their complementary skill sets and similar work ethics were a great match. From there, we decided to further test the waters of working together by bringing on several new clients to work on as independent freelancers. The success of these clients and our shared love of helping small businesses made the creation of Green Loop Marketing the next logical step. Meghan grew up in Indianapolis and developed her marketing chops working for BKD CPAs and Advisors in various marketing roles. Over a period of nine years, her favorite projects included spearheading programs that gave the professionals at BKD a unique reason to engage and interact with their clients outside of the typical audit or consulting job. After “graduating” from her years at BKD, Meghan served on the Meridian-Kessler Neighborhood Association board for several years. She also held positions at the Indiana Design Center and Burkhart Marketing before launching her own freelance marketing consulting business focused on strategy, social media, email, and content development. Melanie has more than a decade of experience working in communication, branding, creative, nonprofit, and ecommerce. She’s a proven leader in planning and executing multi-channel, go-to market strategies on new product launches and creating engaging content in the digital world to grow both brand awareness and sales. Melanie’s writing has been featured by Birchbox, SheKnows, and Pattern. She has also created exclusive content for brands like Paul Mitchell, Warby Parker, and American Crew. Melanie is passionate about the Indianapolis Cultural Trail, serving as a member of their Marketing and Development committee, where she helps write grants and plan exciting events throughout the year. Green Loop Marketing clients currently consist of organizations in both the B2B and B2C sectors. Building successful marketing programs takes time and the Green Loop team is focused on slowly building a strong client base. We work with a team of specialists to provide expertise in SEO, graphic design, social media, content planning, and overall marketing strategy and branding.